Improving economic conditions and increasing pressure from NATO allies will likely enhance the prospects for more NATO nations to meet the 2% guideline in the next five years. Analysis by PwC shows that the compound annual growth rate of defense spending will likely increase in 58 of 71 nations between 2017-2021, as nations respond to a complex global defense environment. PwC Global Defense Perspectives 2017 is the second analysis of defense spending, examining strategic influences and their impact on the present and future defense environment. The second edition expands the analysis of defense spending to 71 countries. It analyses two parameters: defense prioritization (spending as a percentage of GDP); and security posture – the extent to which countries deploy air and ground forces outside its national boundaries and the amount of military equipment that a nation sells or leases. The analysis finds that the projected compound annual growth rate of defense spending between 2017-2021 will reverse previous declines in spending between 2012-2016 in 45% of the countries assessed. This includes major players the US and the UK, and emerging economies such as Turkey and Brazil. The report finds that despite projected growth in spending there is still severe pressure on global players’ defense spending as threats continue to increase including cyber insecurity gaining prominence. The shift in global economic power from west to east, demographic change and the rise of technology are amongst global megatrends cited in the analysis as having a “profound effect” on defense and security. Contracting economies and falling oil prices are squeezing defense budgets. The collapse in oil markets since 2014 has caused drastic contractions in oil-dependent nations defense spending. If there is not a substantial recovery in the oil markets in the coming years, oil-reliant nations such as Saudi Arabia will face a budget squeeze making it difficult to sustain or grow current levels of defense spending. Rising geopolitical tensions are fuelling major increase in global arms sales. To meet the global demand for arms it is likely that nations such as China and India will increasingly challenge the traditional arms supplier duopoly of the United States and Russia, which combined supplied 56 percent of the arms exports from 2012 to 2016. NATO Nations are committed, but struggling, to meet the 2% guideline. In 2016, only 4 of 29 NATO nations, or 14%, met the 2% of GDP spending on defense guideline. 20 of 29 NATO nations spent less in real dollar terms in 2016 than in 2014. United States defense spending returns to growth. In 2016, the US increased its defense spending by 1.7% to $611 billion, signalling the end of a trend of decreases in defense spending. Further increases are likely over the next five years under the new Administration. Macroeconomic and geostrategic forces, including the shift in economic power from west to east, demographic change, and resource scarcity are shaping trends in defense spending in profound ways. This is particularly the case in lesser developed areas of the world where the megatrends will contribute to instability and pose more broad and complex internal, and external, defense and security challenges. In a focus on the NATO alliance, the analysis finds that while defense spending trends remain negative amongst NATO nations, it is likely increasing pressure from NATO allies and improving economic conditions will enhance the prospects for more NATO nations to meet the 2% guideline in the next five years. In the South Central Asia and Pacific Rim region, the five nations spending the most on defense are China, India, Japan, South Korea and Australia. The analysis finds that in East Asia, more potential trade via ocean and advanced overland routes such as the ‘One Belt - One Road’ initiative will require greater defense expenditure to maintain the security of these routes over time, whether threats to these routes are national or transnational in nature. 2. 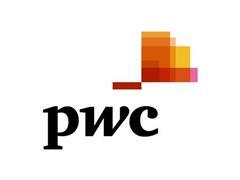 PwC analysed the specific defense characteristics of the 71 nations/regions focuses on two aspects: 1. Recent, current and anticipated defense spending trends. 2. The major investment, institutional, structural and strategic priorities and challenges impacting these nations. The full methodology notes can be found in the main report. 3. The nations assessed in the report include the world’s top 50 defense spending nations (according to the Stockholm International Peace Research Institute) and a group of 21 additional nations selected for their global or regional significance regardless of defense expenditure (including Syria, NATO nations and Jordan). A full list is available at this link https://pwc.to/GDP2017. 4. According to SIPRI Trends in Worldwide Military Spending 2016, from 2012 to 2016, global arms transfers reached their highest volume for any five year period since the Cold War. To meet the future global demand for arms, it is likely that nations such as China and India will increasingly challenge the traditional arms supplier duopoly of the United States and Russia.